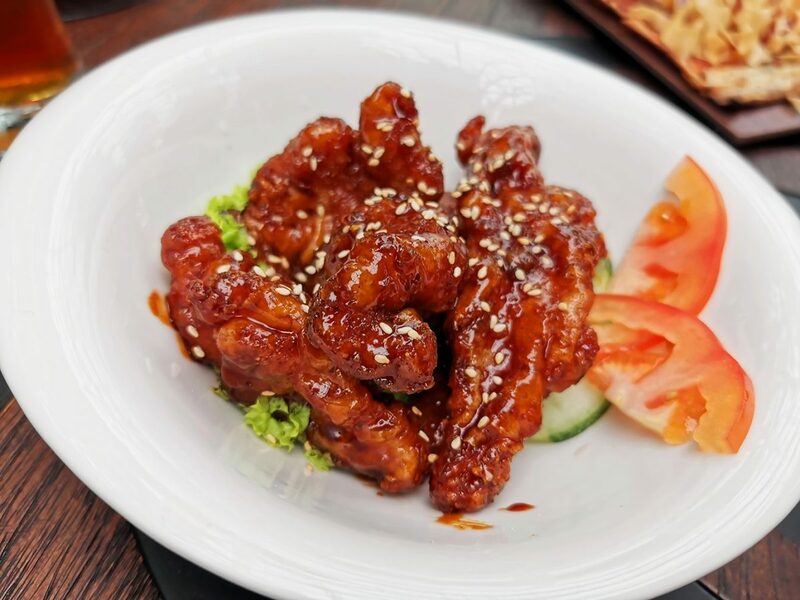 Singapore is famous for its food, without a doubt. Nearly every week, something new pops up with more options for Singaporeans and visitors alike to stuff their faces with. The opening of the new mall, Jewel Changi Airport, introduces a slew of new reasons to ensure you’ll never go hungry or thirsty. 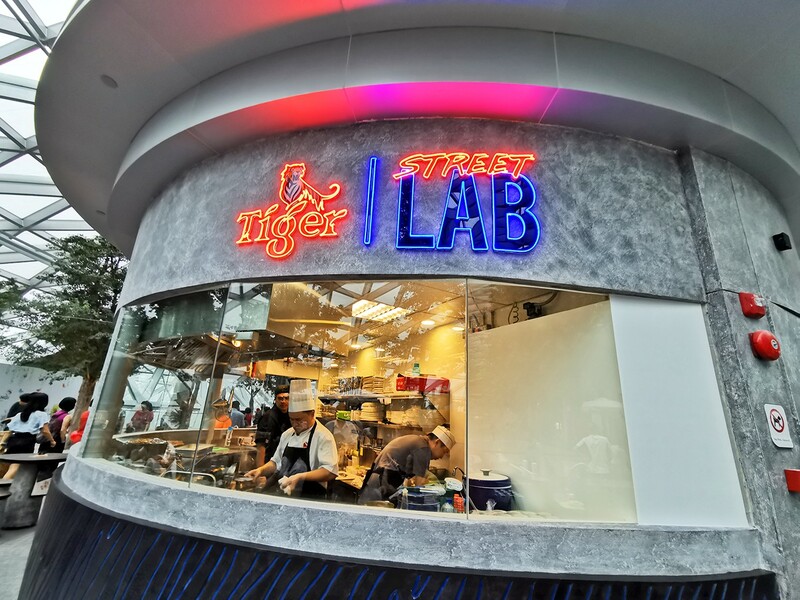 The Tiger Street Lab at Jewel Changi Airport is one such new addition. 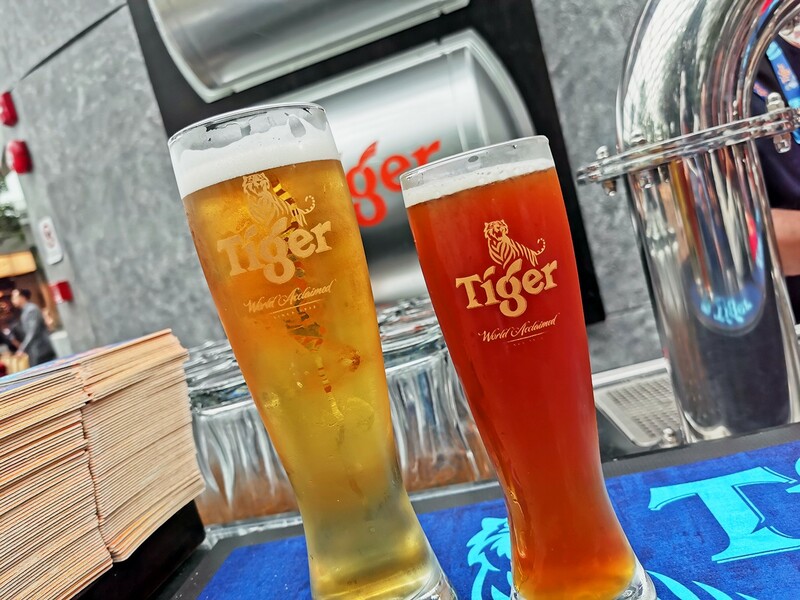 Within, you’ll be treated to a more atas (upper-class) version of the definitive hawker centre dining experience in Singapore: Tiger Beer and food. 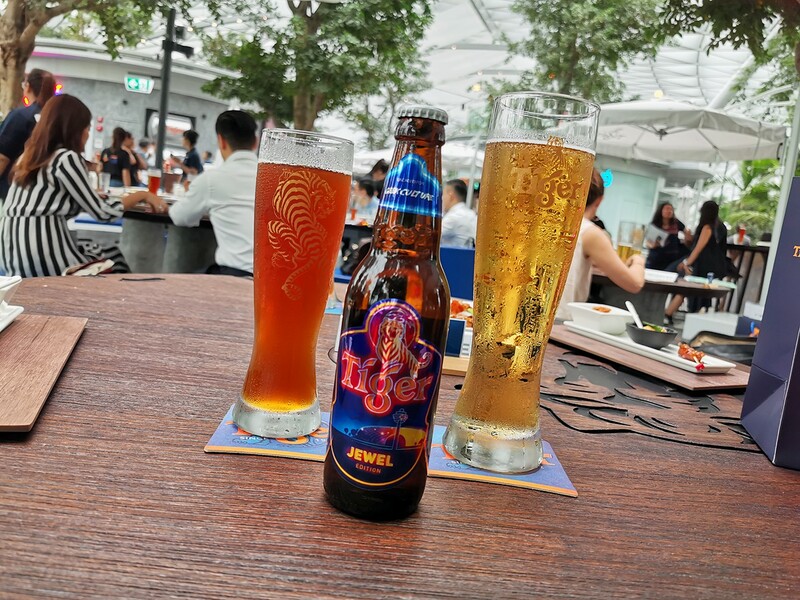 Located on the 5th floor of Jewel Changi Airport, the Tiger Street Lab is Tiger Beer’s first-ever concept store that celebrates the best of Tiger Beer and local Singaporean dishes. 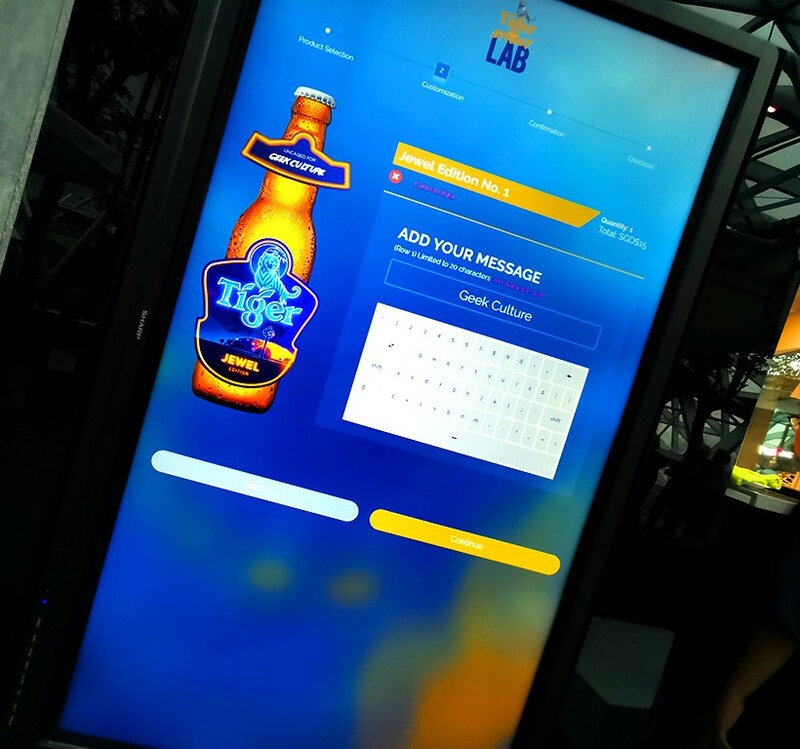 To start things off, the Tiger Street Lab will feature all-new, all-exclusive seasonal brews that put a fresh spin on the classic Tiger Beer formula. These are considered limited-edition as there will be new brews to be introduced around every quarter of the year. 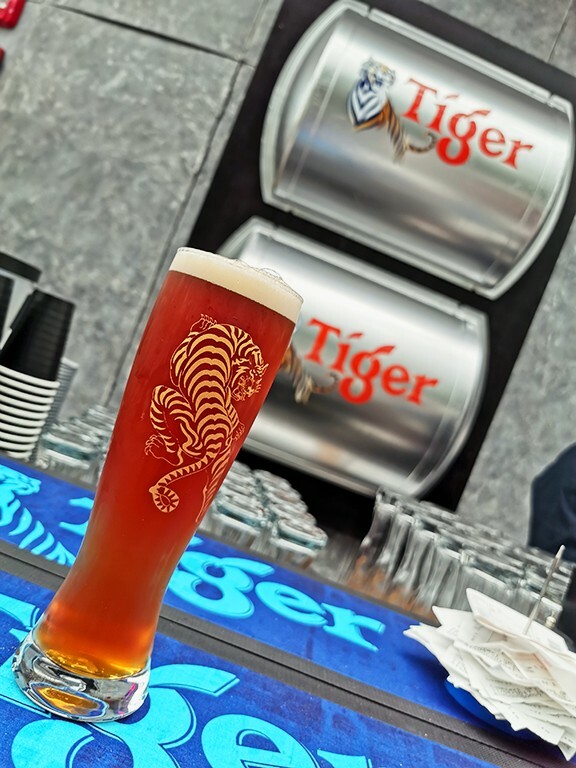 The first seasonal brew will be the Tiger Orchid-infused Black Lager (S$8/pint), which offers a more light and sweet taste as opposed to the classic Tiger Beer punch. The lightness actually complements the food and doesn’t interfere at all with the taste, making it perfect to wash your meal down with. 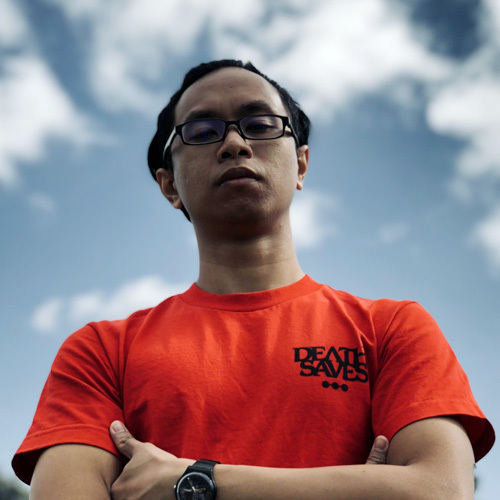 And speaking of food, the menu features tantalising entries from a collaboration with Timbre and the masters of zi char (Chinese home-style hawker dishes), Keng Eng Kee (KEK) Seafood. 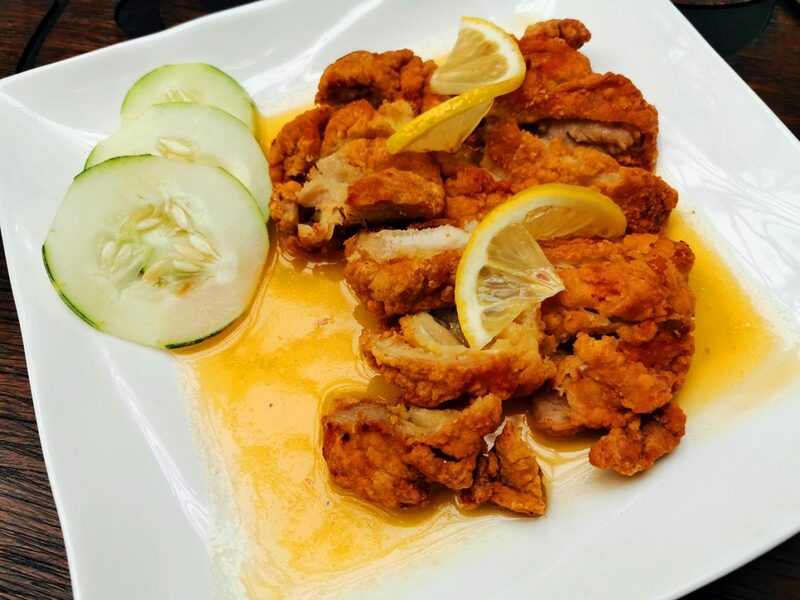 Notable entries in the menu include the Tiger Street Lab-exclusive Chicken Cutlet in Tiger Lemon Radler Sauce (S$18). Yes, we’re not kidding you, this chicken cutlet features a tangy-sweet lemon sauce infused with the Tiger Lemon Radler, which will surely excite your tastebuds. 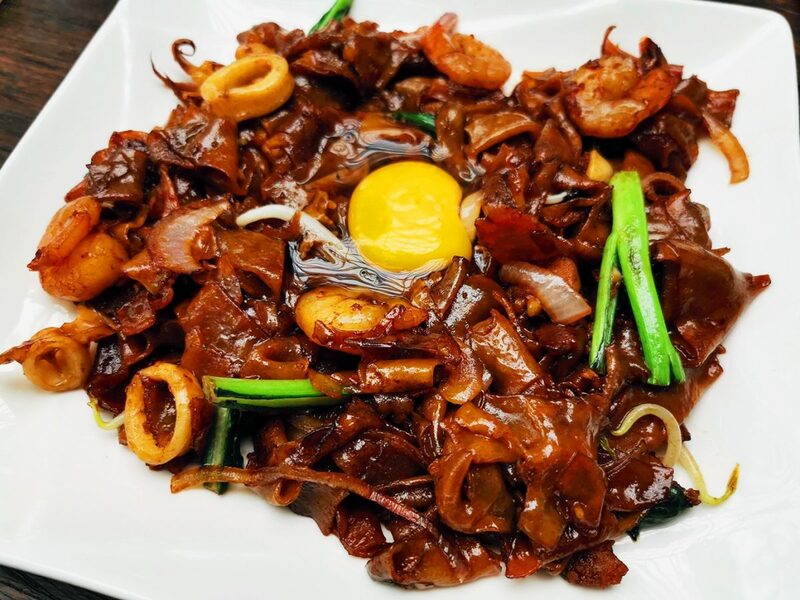 Other staples from KEK Seafood are the Moonlight Hor Fun (S$10), one of their signatures that features a “moon-like” raw egg plopped in the middle of the stir-fried flat noodles, deshelled prawns and Chinese sausages. Another KEK Seafood favourite is the Coffee Pork Ribs (S$15), which are famous for their aromatic caffeine smell that blends really well with the succulent pork, thanks to their caramelised coffee sauce. This unique dish earned it a mention at the 2016 MICHELIN Guide Singapore, so all the more reason for you to try, if you haven’t already. 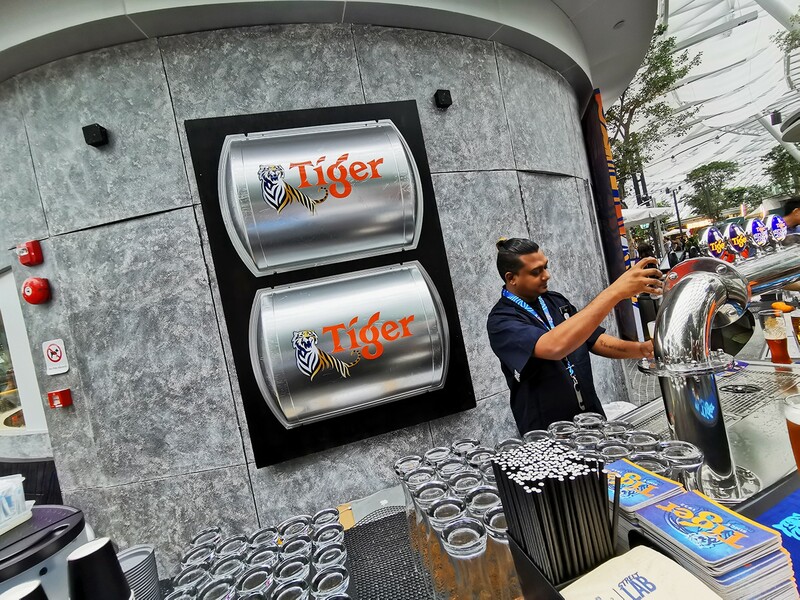 If you’re a tourist who wants to take something memorable home with you (or are just an avid beer bottle collector), there is a station where you can personalise your own bottle of Tiger Beer. For just S$15, you can choose between two label colours, and input your name with Tiger Street Lab’s interactive digital customisation station. Within minutes, you’ll receive your very own limited-edition bottle of Tiger Beer for keeps! 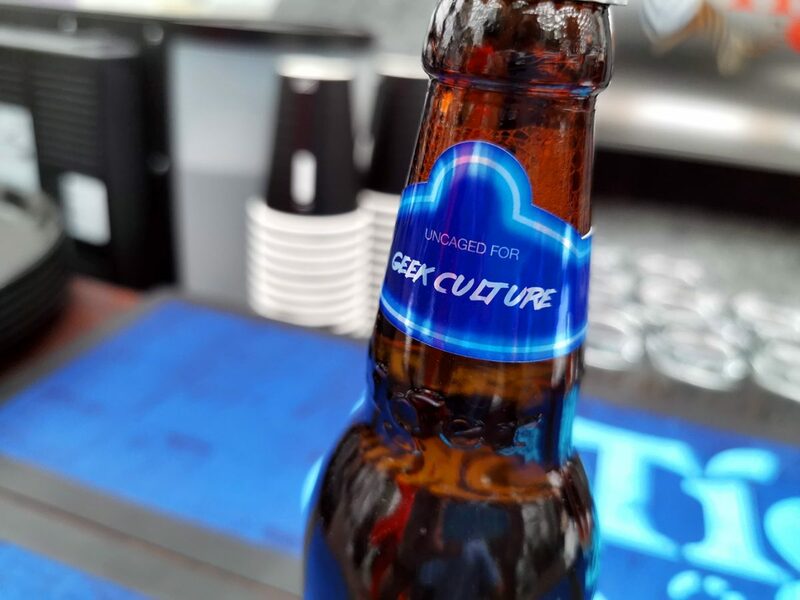 While food and drink are certainly the stars of the show at the Tiger Street Lab, that’s not all they’re offering. 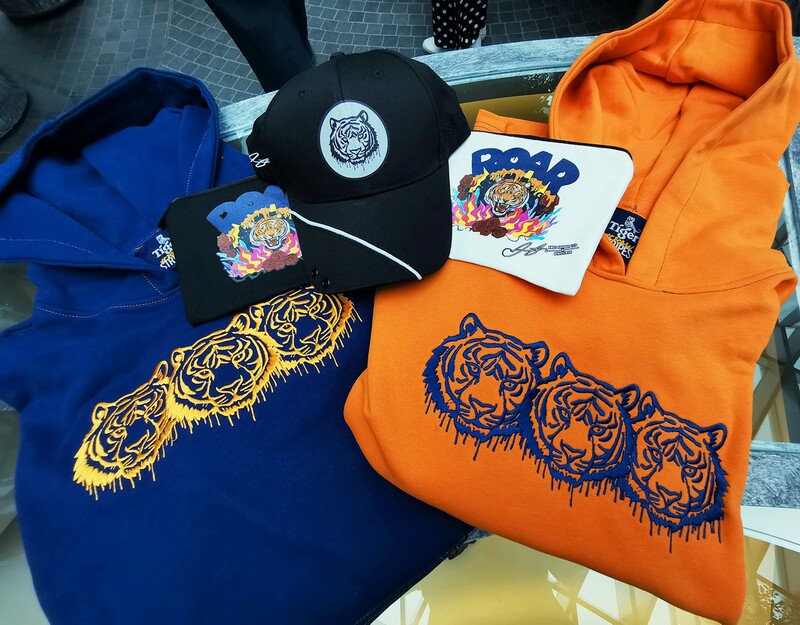 You’ll also get to purchase some exclusive Tiger Beer-themed merch, all made in collaboration with talented Singaporean fashion designer Amos Ananda Yeo, as well as Korean visual artist Mina Kwon. 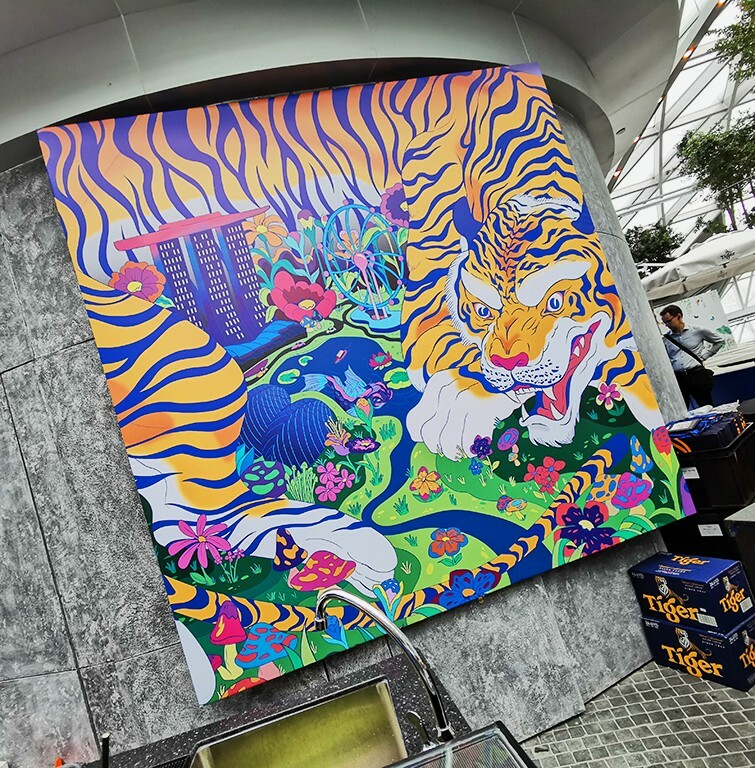 Furthermore, there will be featured artworks from the talented folks at Tiger Beer’s Tiger Roar Collective platform, depicting images of Singapore imagined in the artists’ eyes.